Use of ‘open door’ = witness protection! The caption above is from an old, not very good, joke. 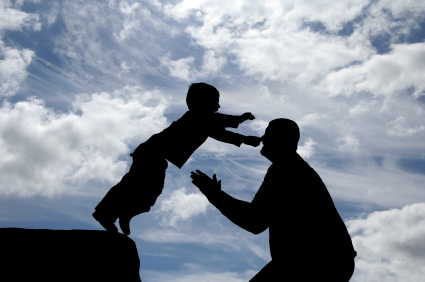 The father steps back and let’s his son hit the ground as an object lesson of being careful with trust. One of the most important core values of any culture is TRUST! Everyone talks the talk when it comes to TRUST. Few really walk the walk. For a culture to have it, it must be all encompassing and is very hard to establish. However, once in place the ‘magic’ created and the creative fun it creates is FANTASTIC. This entry was posted on January 15, 2013, 2:18 pm and is filed under Uncategorized. You can follow any responses to this entry through RSS 2.0. You can leave a response, or trackback from your own site.